Our consultants specialise in certain skill sets, which enables them to build up a deep understanding of their markets whilst staying close to key clients and candidates. We commit to providing our clients and candidates with the highest level of service. We are thorough in all aspects of our service, especially when it comes to understanding our clients and candidates strengths, weaknesses, goals and challenges. 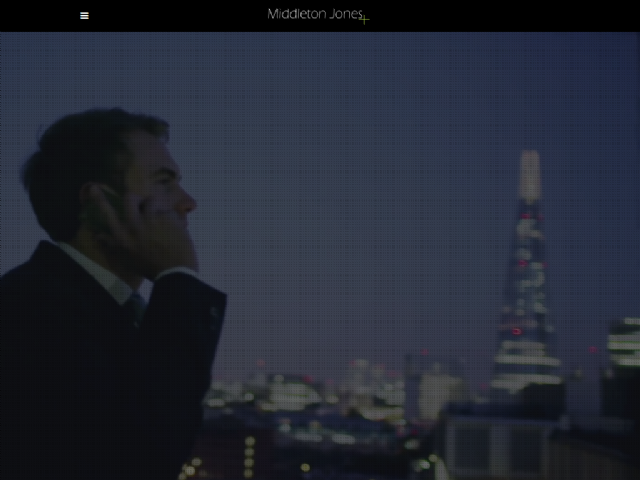 At Middleton Jones, we believe that we can add value to our clients and candidates by investing significantly in market-leading technologies. So that's what we do. We take a relationship-driven approach to recruitment, rather than a transactional approach, ensuring we work with candidates throughout their careers and clients over a long sustained period of time.